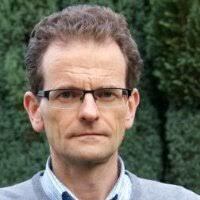 Henk de Man is architect with over 25 years of experience in IT and Business concepts. He has a successful track record of commercializing research insights to launch world-class Enterprise Application Software products, in the areas of ERP, Lean Enterprise and BPM. In his current position as co-founder of VDMbee, he focuses on supporting business managers, analysts and architects with Business Model Innovation, Transformation and Management technology (Value Management Platform). Over the years, Henk served as co-author and implementer of business modeling standards in the Object Management Grouo, in particular Value Delivery Modeling Language (VDML), Structured Metrics Metamodel (SMM) and Case Management Model an Notation (CMMN). Henk also participated in European Research and authored and co-authored various articles and papers in these areas.